Chances are, if you participate in sports, then you know someone who has had a torn ACL. One of the most widely recognized and dreaded sports injuries, anterior cruciate ligament tears are a common knee injury. Over 100,000 ACL reconstruction surgeries are performed annually across the United States, and this of course only counts those individuals who undergo surgery. ACL tears among females has been a hot topic in the media, being featured in national publications and television. The anterior cruciate ligament is one of two ligaments found within the knee joint. It connects the tibia (shin bone) with the femur (thigh bone), running in a diagonal direction within the joint. 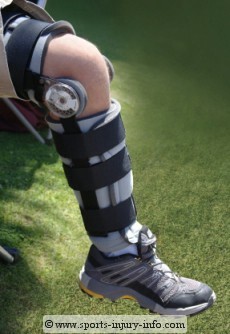 The primary function of the ACL is to prevent anterior, or forward, translation of the tibia in relation to the femur. In a simpler sense, it helps to keep the knee stable. The ACL becomes tight when your knee is fully extended (straightened) and when it is fully flexed (bent). With this in mind, we can better understand how the ACL is injured. If you talk with someone who has injured their ACL, or if you have injured your ACL, you will probably recognize the method of injury. In many cases, a torn acl occurs from a non-contact type of mechanism which involves a twisting motion of the knee. Many times this occurs when planting the foot and turning. This type of mechanism is common in sports that require quick changes of direction, such as basketball, soccer, and football. Another common way to tear the acl is to land forcefully on a fully extended leg. As you land, the weight of your body forces your knee to buckle, and since the ACL is already tight in extension, the force is too great, resulting in a torn acl. Although not as common, contact injuries can also cause a torn ACL. Football, rugby, and other contact athletes can suffer ACL tears, usually from some kind of force placed on the outside of the knee while the foot is planted firmly on the ground. In addition to tearing the ACL, these mechanisms can also cause injury to the meniscus and the MCL. This combination of injuries is known as The Unhappy Triad. Most people who suffer from a torn ACL will describe the injury as feeling and or hearing a "pop" in their knee, having immediate pain, and being unable to move the knee, or place weight on their leg. The "pop" is a very classic sign of an ACL tear. After an ACL tear, the knee will swell up, generally within 30 minutes to an hour, and the swelling will be all around the knee. Often, athletes will describe their knee as looking like a "grapefruit", or "balloon". This swelling is called effusion, and is contained within the knee joint. It is a result of the bleeding caused by the tearing of the ligament. Other signs and symptoms of an ACL tear include moderate to severe pain, inability or unwillingness to bend or straighten the knee completely, and loss of strength in the leg muscles. Much like any type of injury, the best course of treatment for a torn acl is to follow the R.I.C.E principles of rest, ice, compression, and elevation. While you may not know if you have a torn ACL or not, if you have a significant amount of pain and swelling in your knee, you should see your family physician or certified athletic trainer as soon as possible. An ACL tear is a significant knee injury, and for the best outcomes and recovery, usually requires surgery to reconstruct the injured ACL. In the healthy, active person, a full recovery can be achieved through surgery and proper rehabilitation. The key to getting rid of minor aches before they become major pains is a simple, total body prevention program. Written for Runners by a runner, you'll learn a holistic approach to improving mobility, restoring normal movement and muscle activation patterns, and restoring the body and mind connection. 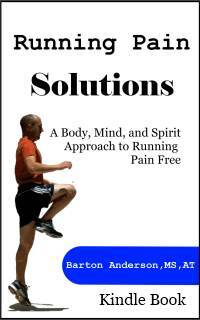 This Kindle Book contains a step by step program to keep you running pain free. Included are detailed instructions and illustrations for exercises to improve mobility, balance, neuromuscular control, strength and endurance. Only $7.49! Signup for your free copy of Flexibility Solutions! The Secret to Eliminating Your Knee Pain! Copyright © 2004-2013 Barton Anderson / Sports Injury Info - All rights reserved.